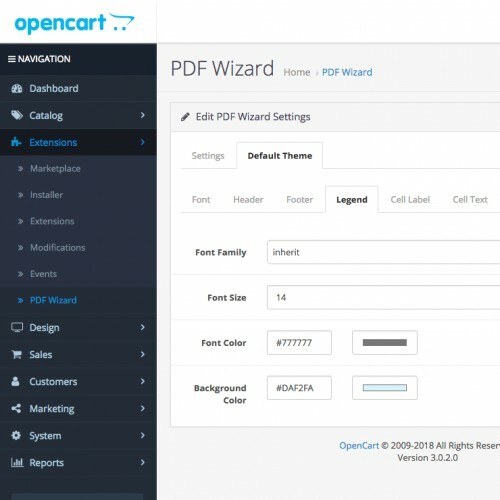 This PDF Wizard basic (ocmod extension) adds the ability to download invoices in PDF format on both of your admin/frontend Opencart websites. Colors and font families can be altered to match your stores design. If there are errors, make sure step 2 was completed. 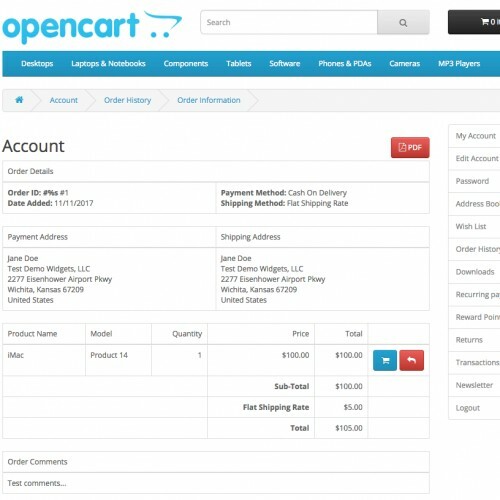 If step 2 was not completed correctly, go to Extensions/Installer and delete from history the opencart-pdf-wizard-basic.ocmod.zip and try again. 4. 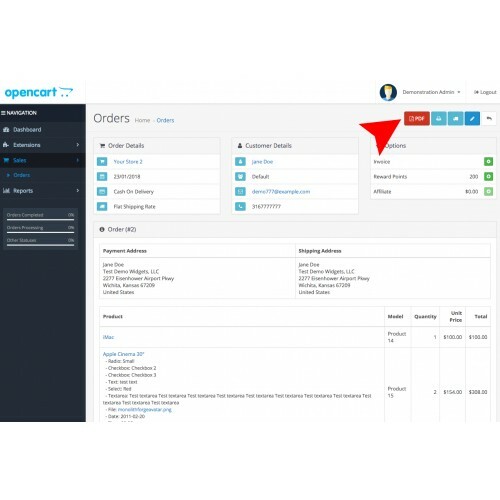 Go to Dashboard and click on the Gear button on the top right of this page. When the popup occurs, Click on both refresh buttons for Theme and SASS. 5. 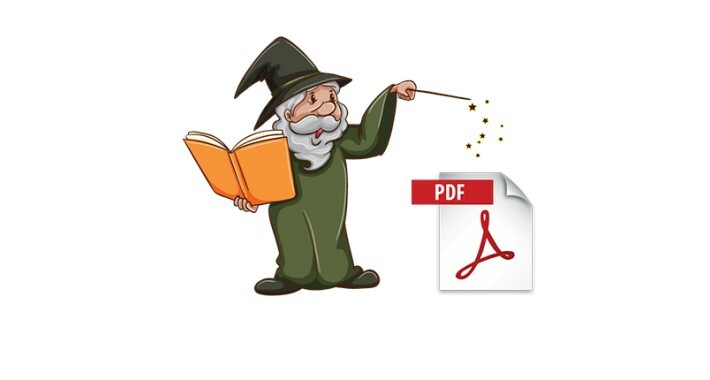 Go to System/Users/User Groups and click on Administrators (and/or other groups needing permissions for PDF Wizard). 6. Check Access Permission and Modify Permission for extension/pdf_wizard and click save. 7. Go to Extensions/Modificatoins and click on the refresh button in the top right of this screen. 8. Now Extensions/PDF Wizard should be visible within the left menu. 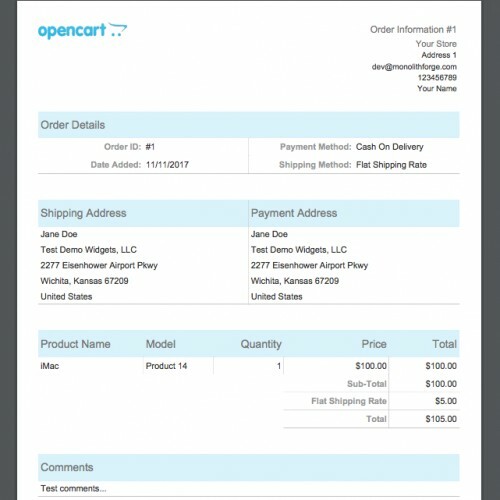 Fix closing div tag of PDF button for order_info.twig. Thanks kururunfa26.